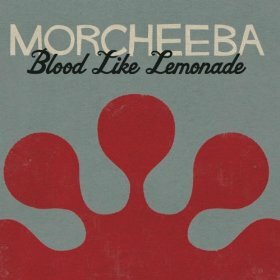 Marking the return of honey-toned singer Skye Edwards, who left in 2003 following those pesky ‘musical differences’ that eat at every band at some point, ‘Blood Like Lemonade’ is the title track from Morcheeba’s seventh album. It’s also the name of a cocktail apparently, the ingredients of which are listed on the back of the single, and it looks like a fine mix of flavours that will do lovely things to your brain. Unlike the song itself. You may need to neck a few of the aforementioned cocktails before it starts to make sense. 1998’s magnificent album Big Calm was, essentially, summer on your stereo; here we have the ‘if it ain’t broke don’t fix it’ mix of faintly Balearic guitars and silky vocals (Edwards’ voice is gorgeous), but halfway through it’s obvious that the tune is going nowhere except back to 1998. Never go back, ladies and gentlemen, never go back.